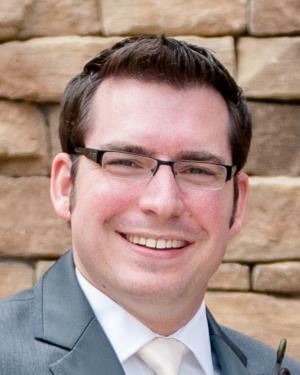 JONATHAN M. QUIER, a resident of Kutztown, PA, graduated from Kutztown Area High School in 2006, where he was very active in the entire music program and swim team. He is the son of Lisa (Herman) Bollinger of Topton and Michael Quier of Blandon. Jonathan is a 2009 graduate of Northampton Community College, Bethlehem, PA, where he received an Associate Degree in Funeral Service Education. He was awarded with the 2009 Pennsylvania Funeral Director’s Award, an award given to one student in the state of Pennsylvania, per year, who has excelled in education and showed outstanding knowledge of funeral service. Jonathan received his Funeral Director’s license in 2010. Jonathan also holds a Life Insurance License in Pennsylvania. He is a member of Trinity Lutheran Church, Topton, PA, where he serves on the Worship and Music Committee, Handbell Choir, and is an active vocalist and musician. An Eagle Scout, Jonathan is a member of the National Funeral Directors Association, Pennsylvania Funeral Directors Association, Berks County Funeral Directors Association, where he served two terms as President, Eastern Pennsylvania Funeral Directors Association, International Cemetery Cremation and Funeral Association, and the Topton Centennial and Street Fair Committee. He also is a member of the Berks County Suicide Prevention Task Force, and the Decedent Care Committee Board of Tower Health – Reading Hospital. He accompanies The Kutztown Community Choir, The Reading Philharmonic Band and The Blue Mountain Heritage Chorus on drums and percussion, and performs vocally and instrumentally with other church and music groups throughout the Kutztown, Topton, Fleetwood and surrounding areas. He formerly served as the Assistant Director, member of the organizational committee, and performed with The Brandywine Minstrels for 10 years, and Fleetwood Community Theater. Jonathan resides in Kutztown with his wife, Meghan (Smith) Quier, and two children, Greyson and Addyson. He has been a part of the Ludwick Funeral Home Family since 2005. He is honored to have the opportunity as a funeral director to serve families in the very community he was raised, and help families in their time of need.